Officials say that the 3.2 magnitude earthquake that took place on Tuesday morning had nothing to do with volcanic activity. 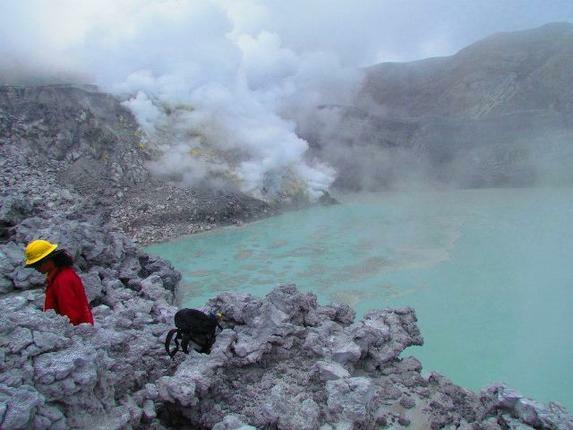 Earlier this month, National Emergency Commission (CNE) officials warned tourists visiting volcanoes, as five Costa Rican volcanoes are currently in various states of activity. According to the CNE, the active volcanoes are Rincón de la Vieja and Arenal (in the northwestern province of Guanacaste), Irazú and Turrialba (in Cartago province, east of San José) and Poás. Last Friday the Poás volcano released a vapor of about 300 meters, which deposited a large quantity of ashes and rocks in the southeastern sector of the volcano’s crater.